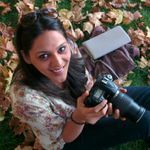 How to Choose the Best Mehndi Designs for Wedding to Create Bridal Mehndi Goals | Wedding Tips ARE YOU A VENDOR? Looking for some beautiful mehndi designs which are a mix of traditional and contemporary? 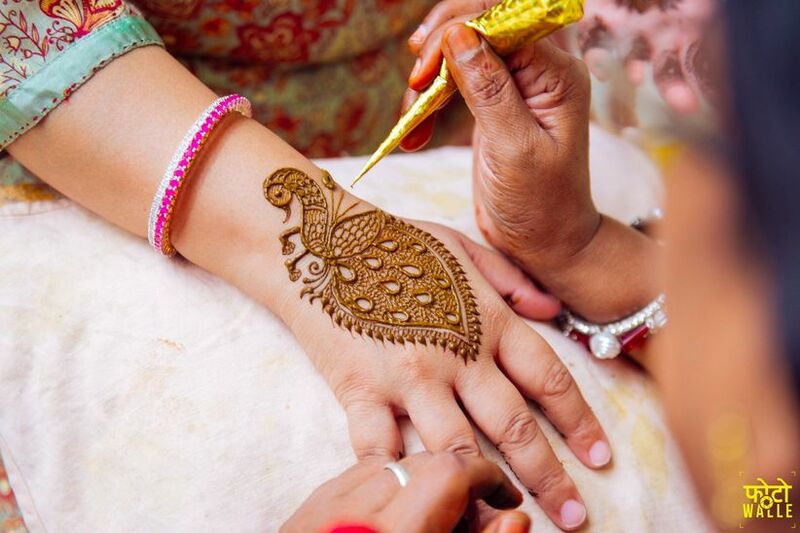 We have curated for you a guide that features various henna designs along with some tips and tricks for best mehndi designs which are trending right now. Brides have the most extensive and exhausting, yet exciting wedding prep to do before their big day arrives. From finding a hair stylist to the most beautiful bridal outfit she surely has a lot to deal with. 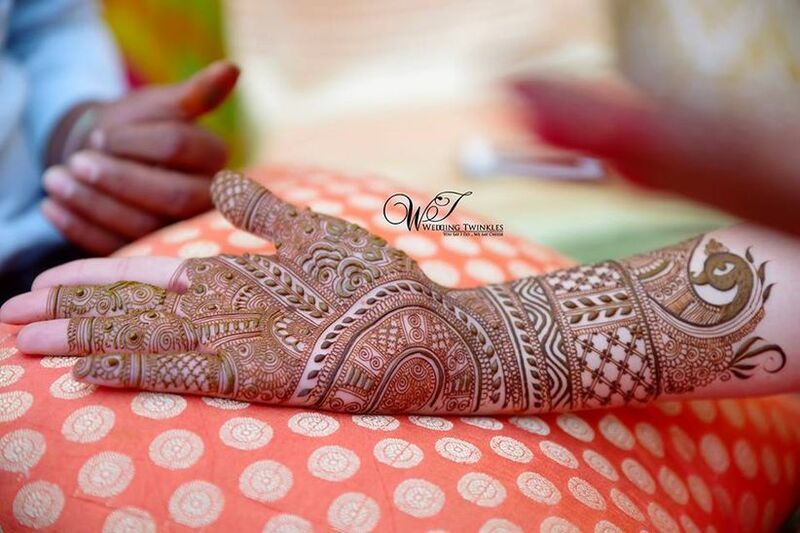 Mehndi designs for wedding is yet another thing you need to pick. The good part is you only need to pick it once and not change it for every function. 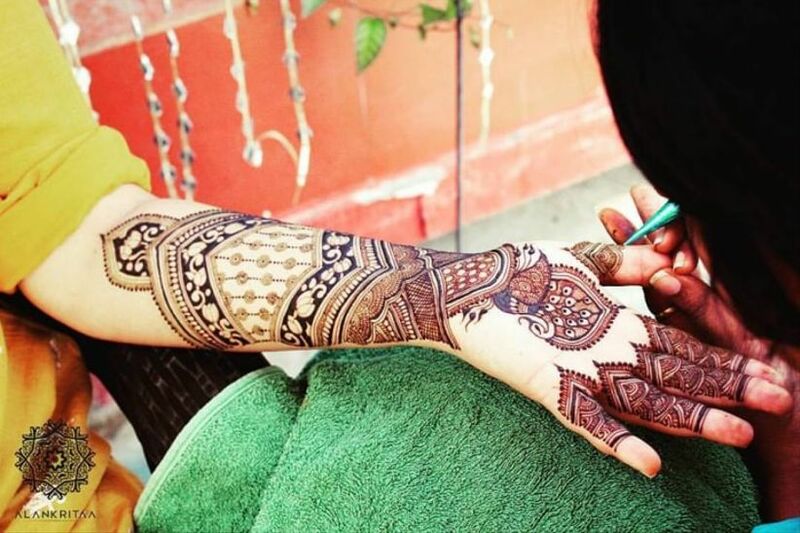 There are brides who like their mehndi design to run all the way up to the elbows or beyond, while some like to keep it simpler till the forearm. 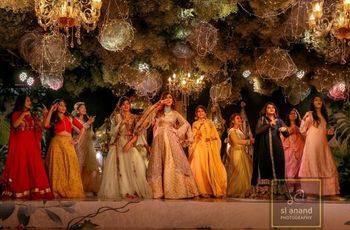 Similarly, mehndi designs for the legs can run all the way up to the base of the knee or be sitting pretty on the ankles depending on how you want to flaunt it in your bridal lehenga. 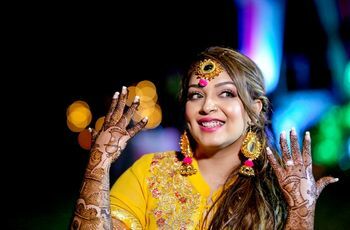 With mehndi being such an important traditional ritual for most Indian marriages and also being an intricate art form, it has spread its wings to all parts of the world. You can now choose different styles like Pakistani bridal mehndi designs, simple Arabic mehndi designs and many more. So here are a few things you need to consider for mehndi designs for wedding. 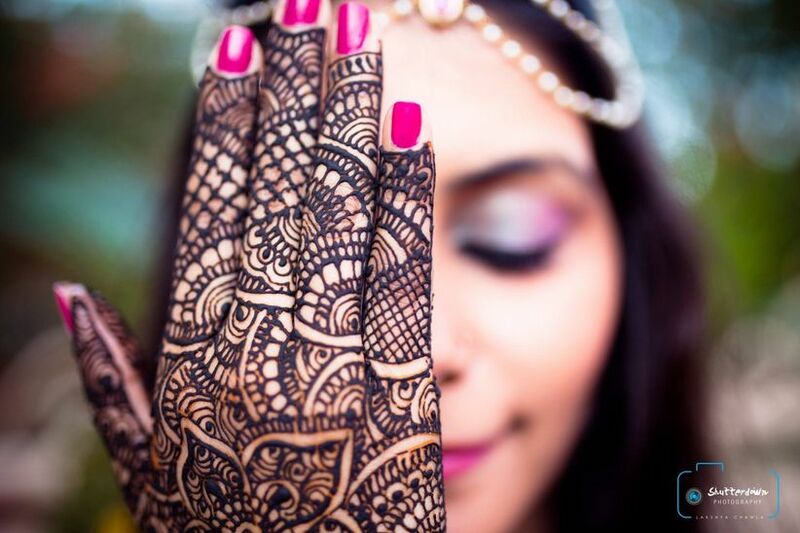 Book these mehndi designs for wedding and get going! Ensure that the mehndi is chemical free. 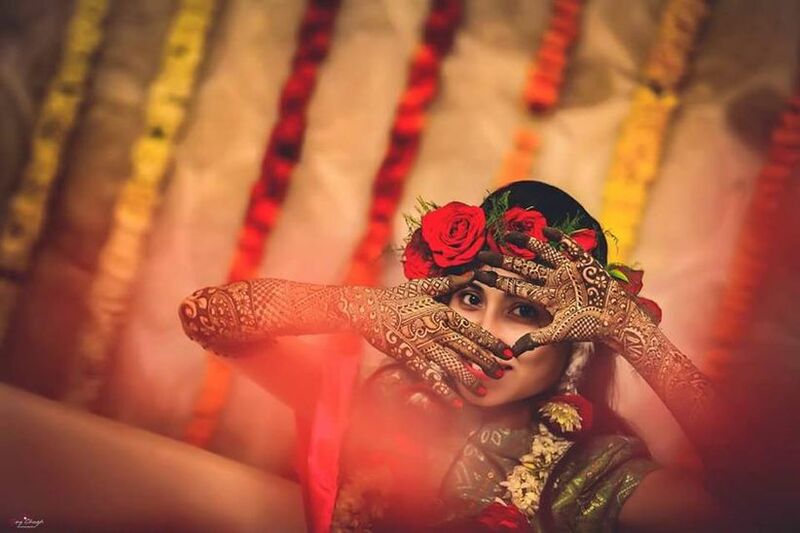 A lot of brides have suffered because of using chemical based mehndi that may give a beautiful rich colour but soon starts peeling the skin off or even lead to rashes. Take a patch test a few weeks before the wedding, to make sure it causes no reactions or irritation. How elaborate do you want your bridal mehndi to be? You can extend it as high or low as you want to, there are no rules here but knowing that beforehand can help you pick the perfect design. 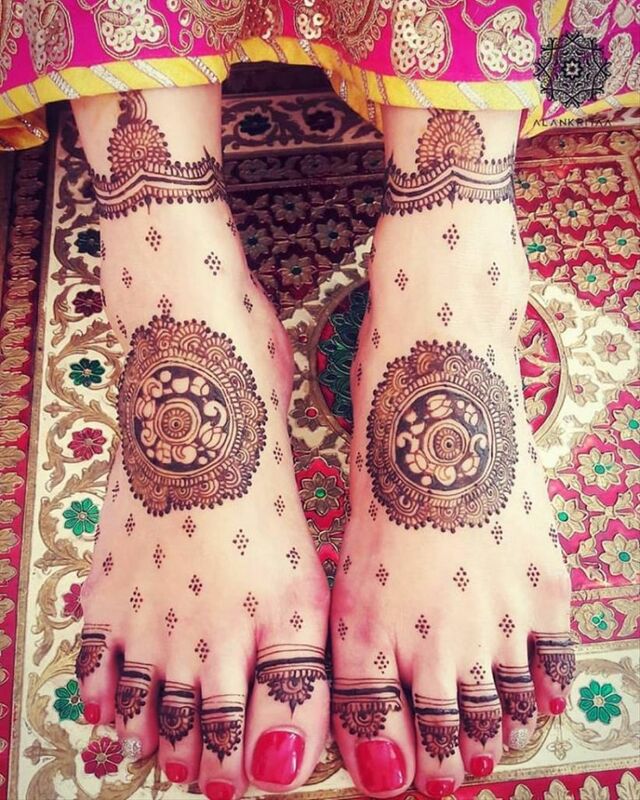 A simple Arabic mehndi design is the most minimal yet graceful look, whereas a traditional Dulha Dulhan mehndi design for a wedding is more elaborate and long. 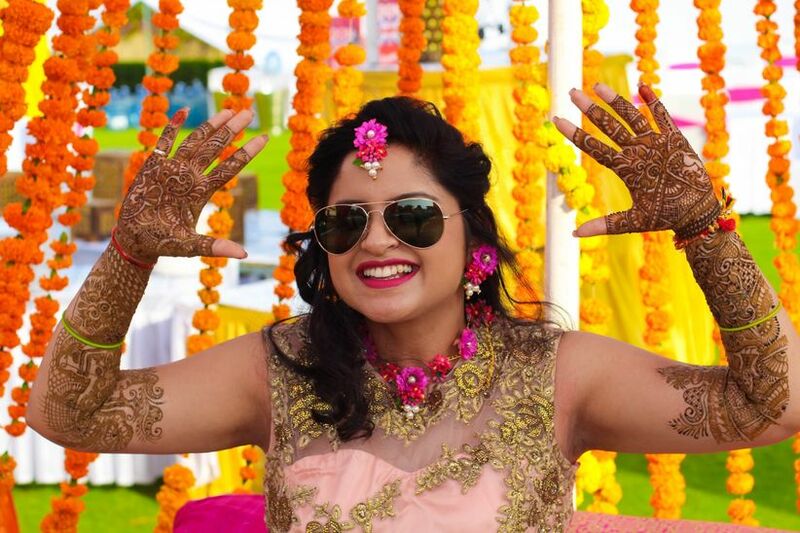 As mentioned above, there are specific mehndi styles to choose from, each beautiful and attractive in its own way like the evergreen mehndi songs. Pakistani bridal mehndi designs are very intricate and bring in specific designs like the Chaadar design, floral motifs etc. There are some renowned mehndi artists who have their own unique designs. It’s best to choose the same style for both arms and legs to create a flow. 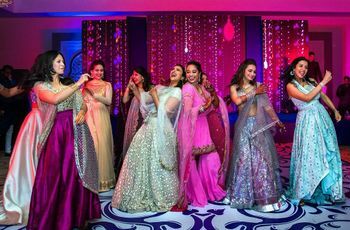 Rajasthani bridal mehndi designs or Mughal mehndi designs are also very popular for the rich and intricate look they offer. 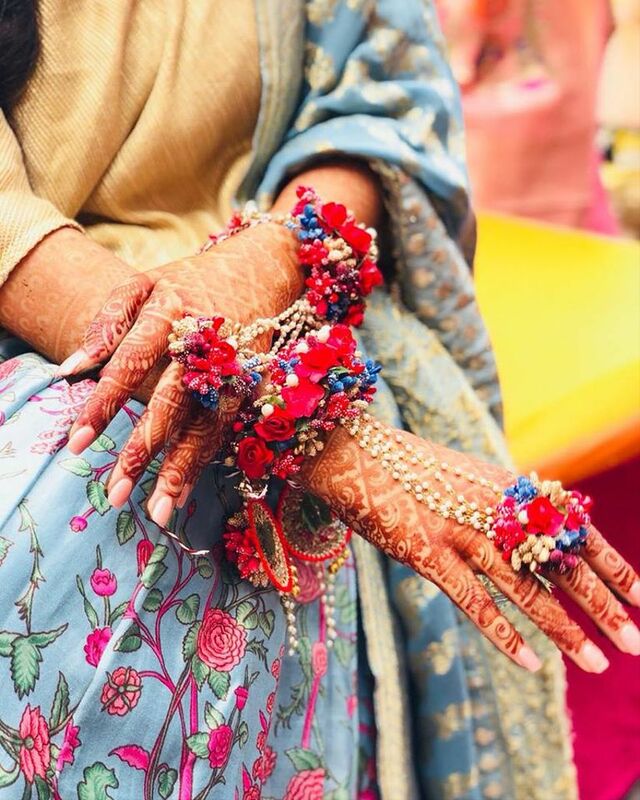 The bridal accessories you are planning to wear like Haath Phools and wedding ring must also be kept in mind when choosing a simple mehndi design for wedding. An elaborate anklet that extends over the feet or rings with chains attached to the bracelet will hide most of the mehndi design. If you are wearing such elaborate accessories choose a design like a chaadar design so it creates a beautiful base and further accentuates your accessories. 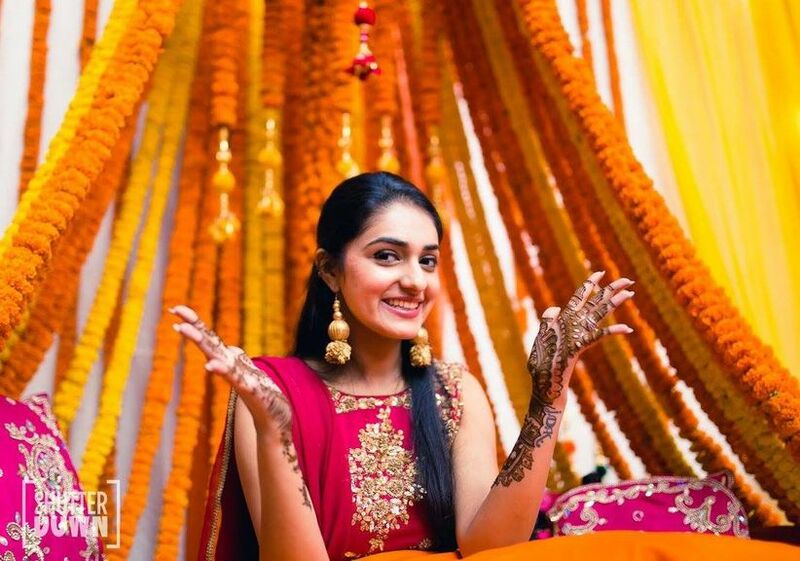 If you are not sure about the whole design you can just ask your mehndi artist to include traditional motifs like Dulha Dulhan, peacocks, paisleys, dholak or elephants. Minimalistic magic which is perfect for the bridesmaids and family of the bride as it is simple but still pretty spectacular. These small but significant motifs stand out and are very beautiful. 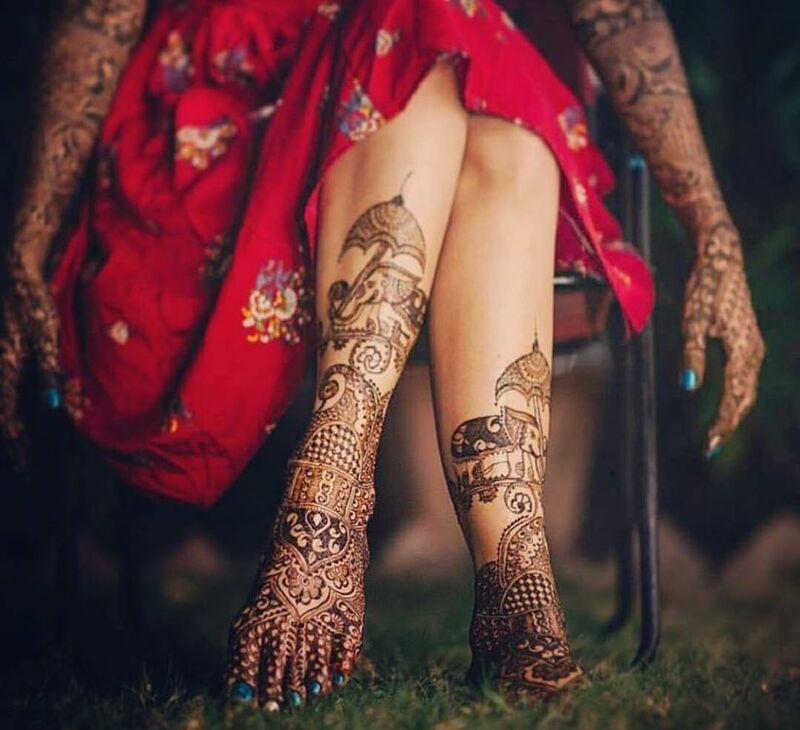 We cannot get over the delicate design and patterns that trace her shin and feet - sheer perfection if you ask us and one of the prettiest mehndi designs for wedding. Mehndi is an art form, and like all art forms creativity lies in uniqueness. If you don’t want to take up the hassle of going through designs just trust your mehndi artist to do a good job! Just go through the artist’s profile of previous work and ascertain their skill based on that. 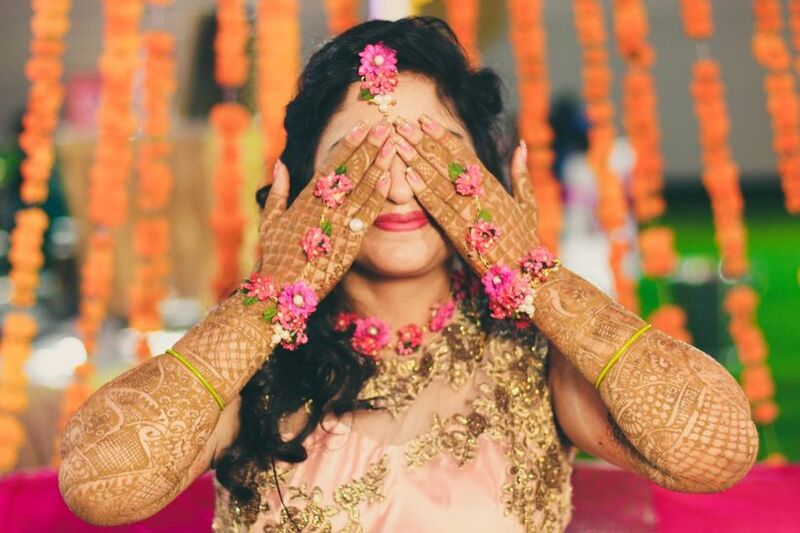 With these tips, your search for the perfect mehndi designs for a wedding will surely become easier. 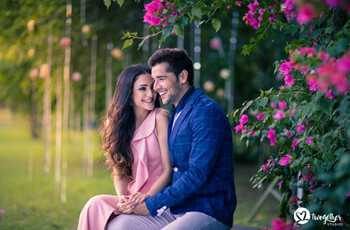 Imagine how beautifully your engagement ring would dazzle on your mehndi-laden hands all throughout your wedding events and even past your honeymoon. So make sure you’re completely satisfied with the design you choose. We hope you found some mehndi designs for wedding to get for your own wedding or that of your BFF. Search the internet for some more mehndi designs for wedding and get in touch with your mehndi artist now. 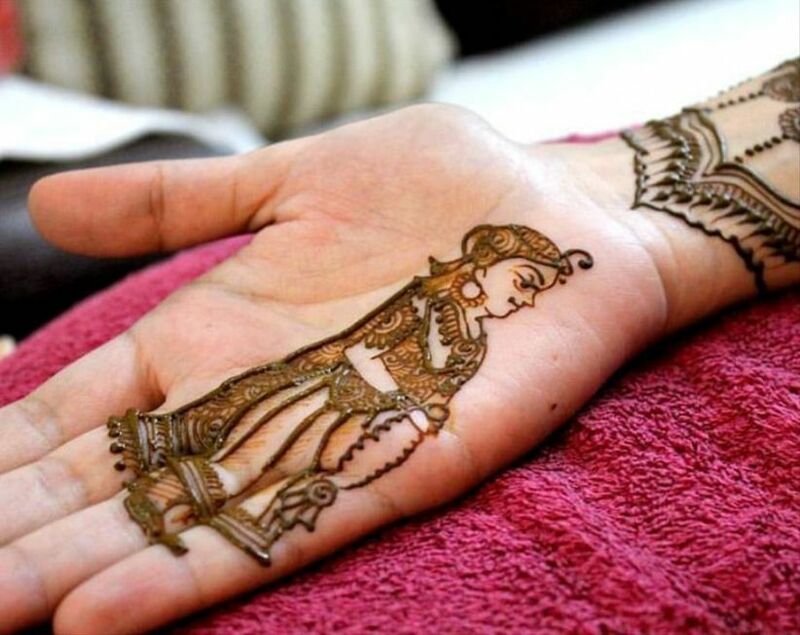 These are some of the best mehndi designs for wedding both for brides-to-be and their bridesmaids. From Paisley to Arabic to minimalistic to white mehndi - you can opt for a trend that sits with your personality and style quotient the best! Write back to us through comments in case we missed a point or two.